Some of this country’s hottest pop talent are set to line up to be covered in fluorescent green slime in September this year, with the annual Nickelodeon Slimefest set to hit Sydney and Melbourne. US internet sensations Boyce Avenue headline the 2015 proceedings, but there’s a cavalcade of Aussie stars lining up for their chance to get slimed. 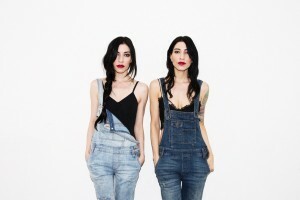 The Veronicas (pictured) are confirmed to take their spot on stage; so too Samantha Jade, Reece Mastin, the chaps from At Sunset, as well as Timmy Trumpet and Savage. Two shows each are locked away in both Sydney and Melbourne – at 11am and 6pm – and once again, Slimefest is expected to attract an audience in the thousands.